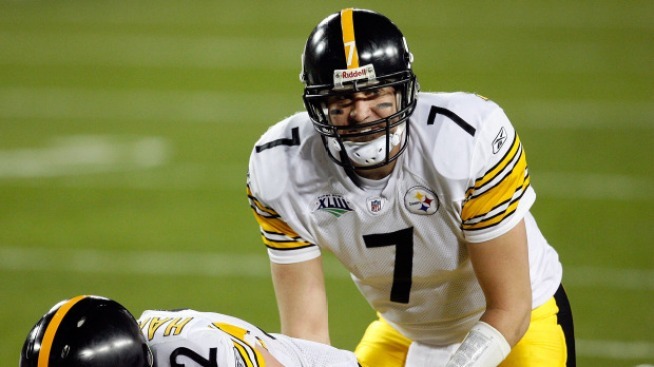 Big Ben's civil suit has been a big story, but you won't hear about it on ESPN. The Ben Roethlisberger story -- it was revealed Monday that Roethsliberger is facing a civil suit brought by a woman who claims she was sexually assaulted by Big Ben during the quarterback's stay in a Nevada casino in July of 2008 -- is by now pretty well known. Almost every media outlet that reports on the NFL has some version of the story. Every site with an interest in the salacious has filed. Every blog with an interest in attacking or defending Roethlisberger has respectively either taken the case at face value or ripped through the accuser's credibility. The high-minded have directed readers to the AP coverage. In short, it's yet another story churned up and spit out in very efficient fashion by our minute-to-the-next sports news cycle. As usual, everyone has participated. Except ESPN. Go ahead, turn on Sportscenter this morning. Check out ESPN.com. Get on the radio in any of ESPN's entrenched markets. You won't hear a thing about Ben Roethlisberger or sexual assault or dubious details or any of the rest of it, because ESPN isn't reporting the story. Why? There are a couple possible explanations. One is that ESPN issued a "do not report" edict to its editors, writers and producers, effectively killing the story on a company-wide basis. That doesn't exactly get to the why, but it does offer a clue: ESPN simply doesn't see the story as newsworthy enough to report. According to Deadspin, ESPN has an apparent internal policy that restricts the station from reporting civil lawsuits. If Roethlisberger's accuser had filed a criminal complaint, ESPN would have presumably at least mentioned the story, right? That policy might make some sort of sense, but as a blanket edict it lacks flexibility. It creates a disconnect between what is going on in cubicles and GChat windows across the country and what is happening on ESPN.com. That disconnect is bad for business: ESPN's brand has always been about relevance and timeliness and being about what fans are talking about right now. Losing touch with that purpose -- getting too cozy with athletes and too subsumed by the Chris Berman "I am important" mentality -- is what drove so many readers and viewers to alternative sports media in the first place. Now that ESPN seems concerned with getting there again, it ignores the biggest sports story of the day? At this point, even Roger Goodell has acknowledged and promised to "look into" the story. As MJD writes at Shutdown Corner, that leaves ESPN and Steelers.com as the only two media outlets not discussing Ben Roethlisberger this morning. How much longer will it take? UPDATE: At around midnight last night, ESPN finally addressed the story. Our long national nightmare is over.